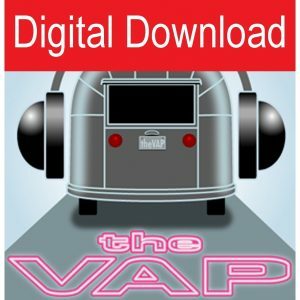 CYBERSPACE -- Tim Shephard, the creator and host of The Vintage Airstream Podcast since 2005, is a restoration resource for vintage trailer owners, and is heard in more than 22 countries worldwide. He has authored a book, Restoring a Dream, which chronicles his year-long journey to transform an Airstream trailer from its nightmare condition into a restored dream. Restoring a Dream offers a unique twist on a restoration tale, he explained. He tells his personal restoration story from tent camping in the California redwoods to rebuilding two vintage Airstreams. The book follows Shephard as he decides to sell his 1971 vintage Airstream and purchase a new larger trailer. Readers will learn what changes his mind against buying a new trailer and why he purchased one that is even older. He also explains what to look out for when 'going vintage,' how to choose the right vintage trailer, and how to inspect it to avoid costly mistakes. Readers are encouraged to ride along as he heads out on a 2,400-mile "recovery mission" to pick up his 46 year-old trailer, and find out how a year-long restoration takes a vintage Airstream from a nightmare condition to a restored dream. Shephard lives in Northern California with his wife and children. They have enjoyed traveling in their vintage Airstreams for more than 10 years.